A four-year-old neutered male domestic shorthair cat presented in February with an acute onset of lethargy and anorexia to a veterinarian in central Oklahoma. Body temperature was 105.8F and palpation revealed an enlarged spleen. Dif-Qik stained blood smear revealed these organisms. 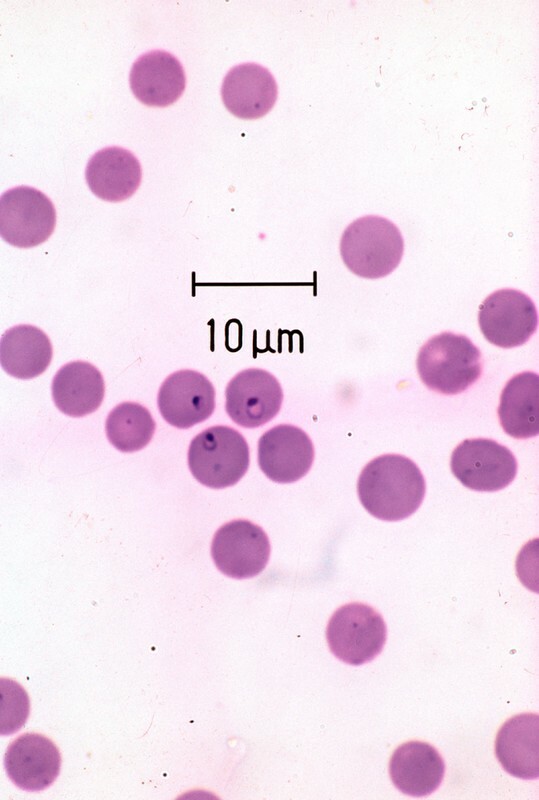 This is feline cytauxzoonosis caused by Cytauxzoon felis, an apicomplexan protozoa transmitted to cats by Amblyomma americanum, the lone star tick. Cases of cytauxzoonsis are commonly seen in many areas of the south central and southeastern United States and are most often diagnosed April through September when lone star ticks are most active. However, infections have been reported every month of the year; a February presentation is not entirely unusual when a mild winter allows for early tick activity. Year-round tick control is recommended to protect cats from ticks and the diseases they transmit.